This month only we are offering the following deals! Take advantage before its to late!! Ricoh Imaging Americas Corporation today announced the North American availability of a special, Hatsune Miku version of the Ricoh Theta SC camera. This limited-edition, 360-degree camera package was created in collaboration with Hatsune Miku developer Crypton Future Media to commemorate the 10th anniversary of its popular, singing digital avatar. The package includes a Ricoh Theta SC camera with graphics of the Hatsune Miku character by original illustrator KEI on a specially-colored camera body, as well as access to a smartphone application that enables users to integrate the Hatsune Miku character into their 360-degree images. Hatsune Miku is an extremely popular digital persona voiced by a singing synthesizer application, with a loyal following in Japan and around the world. The Ricoh Theta SC Type Hatsune Miku, which incorporates the same tech specs as the regular Theta SC version, features an illustration of Hatsune Miku on a blue-green-colored camera body—her signature color scheme—as well as a pink-illuminated power button. When the shutter button is pressed to capture a 360-degree image, the camera emits a custom Hatsune Miku sound, developed by Crypton Future Media. With the dedicated Ricoh Theta Type Hatsune Miku application for iOS and Android devices, users can overlay a three-dimensional image of Hatsune Miku on their 360-degree photos. The app includes 55 different poses, including Snow Miku, a winter character whose outfits are determined by annual design competitions. The Ricoh Theta Hatsune Miku exclusive editing application can only be used with this Theta model. The Ricoh Theta SC Type Hatsune Miku package includes a dog-tag key holder printed with the camera serial number (up to 3,939), and blue-green colored 100-percent wool case by Japanese artisan crafts company, Abitax. Both the dog-tag key holder and packaging feature an exclusive illustration of Hatsune Miku created by well-known Japanese artist, fuzichoco. 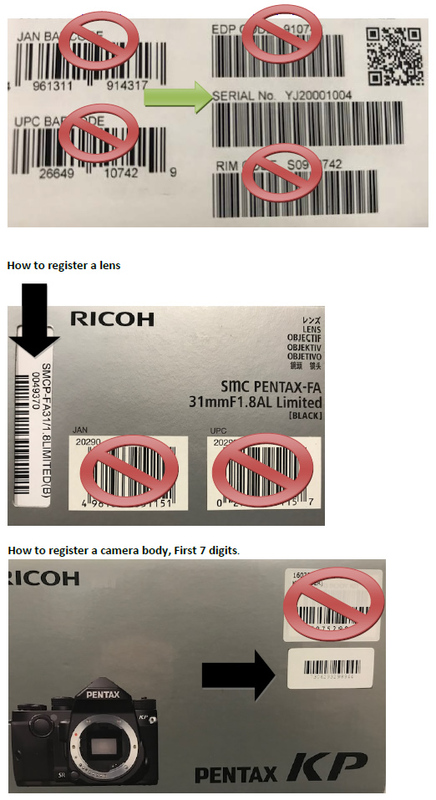 Additional information about the camera can be found at http://miku.ricoh/en/ and on https://www.youtube.com/watch?v=_XEToCiJG7Q&feature=youtu.be (open transcript for English translation). RICOH COMPANY, LTD and RICOH IMAGING COMPANY, LTD. announce the launch of the “RICOH THETA V”, which supports features that include 360° 4K video capture, immersive spatial audio recording, and high-speed image transfer. The RICOH THETA V is the new top of the range model in the 360° “RICOH THETA” camera series. Since the RICOH THETA was first launched in 2013 as the world’s first 360° single shot camera*1, this exceptional imaging tool has been used to capture exciting and unique fully-spherical images in a variety of situations. The 360° visual space has defied the conventions of traditional photography and allowed users to capture their entire surrounding in one image. These can even be shared with others using a VR headset, allowing them be fully immersed in the scene, as though they were actually with there. The rapid growth of the virtual reality (VR) market, the expansion of SNS (Social Networking Services) supporting 360° and the ever-increasing demand from the B2B sector, means that the opportunities to utilize the extensive capabilities of THETA are expected to expand further in the near future. The RICOH THETA V has a compact, lightweight body, so it’s portable enough to take anywhere, anytime. Featuring the sleek design and handling THETA users have come to expect, it takes the 360° photo and video experience to a whole new level. It’s packed full of performance-enhancing features, but some striking additions to its armory, put this device at the cutting edge of 360° innovation. RICOH IMAGING COMPANY, LTD is pleased to announce a special edition of the PENTAX K series digital SLR camera, the PENTAX K-1 Limited Silver. There are only 2,000 units available worldwide! The PENTAX K-1 (launched in April 2016) features a 35.9mm x 24.0mm large, high-performance CMOS image sensor, achieving ultra-high definition approx. 36.4 effective mega pixels and superb gradation recreation, along with high-sensitivity performance for the ultimate K series digital SLR camera model. This limited edition model was designed to meet overwhelming user demand for a camera body and battery grip in a refined silver color that perfectly matches the silver FA Limited Lens Series. The model also features a limited edition metal hot shoe cover with logo. These features show our commitment to the finest details and make this a truly special model. Note: The camera body’s features and specifications are identical with those of the standard model, except for the firmware. WEST CALDWELL, NJ, April 20, 2017 — Ricoh today announced it will be showcasing a prototype of its newest Theta 360-degree camera, capable of capturing high-resolution 4K video in a single shot, at the upcoming 2017 NAB Show, April 24-27, in Las Vegas. The camera will be featured at the Ricoh booth C11139, located in the Central Hall of the Las Vegas Convention Center. In addition to capturing 4K video at 30 frames per second, the new camera will enable 4K 360-degree livestreaming, and a built-in 4-channel microphone will record spatial “surround-sound” audio. The new camera is expected to be launched later in the year. Ricoh offers the industry’s most extensive line of spherical imaging cameras, known for their high image quality, sleek design and ease of use. First introduced in 2013, Theta cameras allow consumers to record fully spherical images that show the entirety of a scene in photos or videos. The camera line’s combination of small size, high-quality imagery, and incredible functionality are a result of Ricoh’s many decades of experience in advanced imaging and optical technologies. The company has long been a leader in professional printers and copiers and is known for its high-quality optics and optical components. A key achievement with the Theta series is an ultra-small twin-lens folded-optical system capable of capturing two wide-angle images and then marrying them into a single spherical image.